I spend a lot of my free time in the outdoors. Over the years, I’ve purchased and used, all shape and type of tool, gear, and equipment that I thought could be useful in improving my outdoor experience and making it safer. 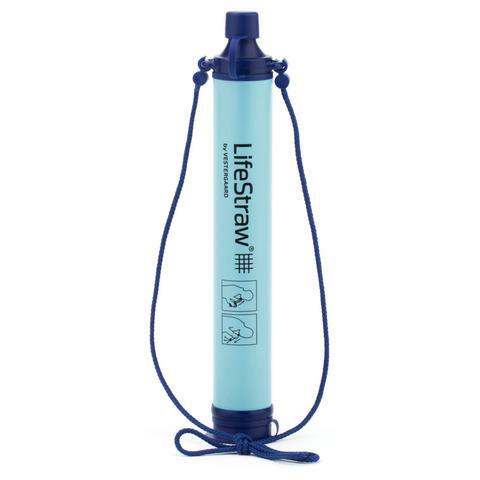 I say, with bias and prejudice, that the LifeStraw is at the very top of my list. The LifeStraw is very much like it sounds. It is a straw-shaped water filter that is ultralight-weight. Weighing only 2 ounces, it is easy to carry, and easy to use. It will filter approximately 1000 litres of water. This is more water than the average person drinks in a year, while in the outdoors. 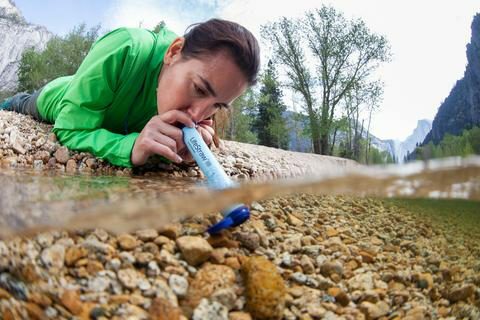 This water can vary in the degree of contamination, and the LifeStraw will make it safe for you to drink. This eliminates your need to carry huge volumes of water when there is water in the environment you will be camping, hiking, or adventuring in. Now you can drink from rivers, streams, ponds, lakes, and glaciers. With a LifeStraw, you can access safe drinking water from just about anywhere. Great addition for international travel and for your emergency preparedness kits. Like all great inventions, none are perfect. It does not filter chemical toxins and human waste products. It claims to reduce chlorine and bad taste. It also claims to reduce lead and heavy metals. This is not its purpose and I would “run away” from these water sources as fast as my legs would carry me. For me, this has been and still is an excellent product. There are almost 8000 reviews on Amazon on this product. Like the majority, I have nothing bad to say about the LifeStraw. When used and maintained properly it is a real winner! Get one for your backpack and a second one to keep at home, in the unfortunate event that disaster would visit you. This is one of the most useful and valuable tools in my backpack. I call it a tool because it performs a task. I’ve been using the one in my backpack for 3 seasons now and I’m still a ways from my 1000 litre limit. Unused, it can be stored indefinitely. Its lifespan is determined by the 1000 litre threshold. it is an ultimate survival tool, with no shelf life, easy to clean and store, used and tested all over the globe. If you have any comments or questions, about this fine product, I would be pleased to hear from you and always do my best to answer your concerns and comments in a timely manner. Thanks for writing this review on the LifeStraw. When I first read this post and I saw this water filter, the next thing that came to my mind was what was this used for, but after reading this review I saw how helpful it can be on my adventures to the lakes. I like it and I’m getting one. This is an excellent product, Seun. It is very useful in the outdoors and will filter a lot of wilderness type water. It does not filter salt from seawater and it should not be used for chemical toxins, heavy metals, and lead. These are rarely found in natural settings and are more common around mining sites, chemical plants, and the like. This filter is for lakes, rivers, ponds, and similar bodies of water. Very light and easy to carry. It is a real winner.